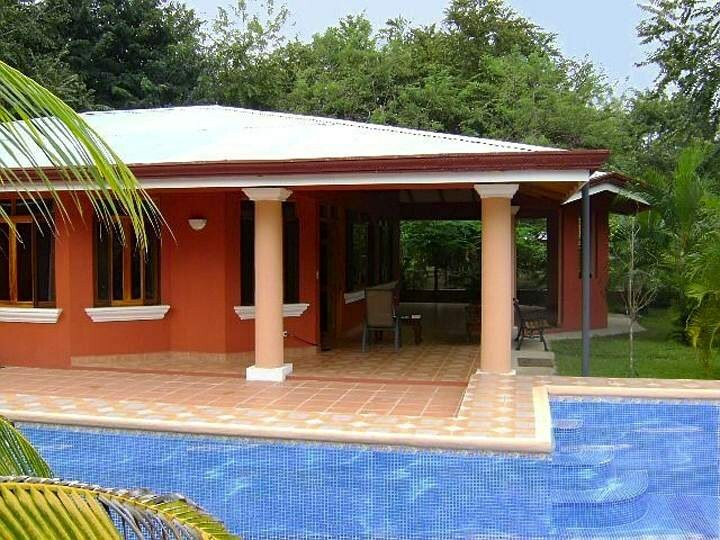 Roca Blanca: Lovely 3 BR Home for rent with private pool, close to Playa Conchal! 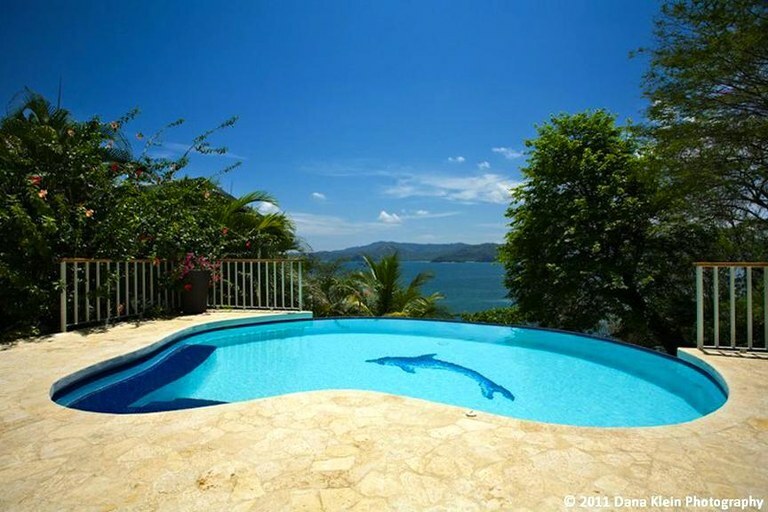 Beautifully furnished 3 year old home with pool in Brasilito, close to Conchal Beach. Gorgeous views of the mountains at the back from the patio. 24 hour, safe, secure gated community. Furnished with locally made wooden furniture. King bed in the master bedroom, queen bed in second bedroom and bunk beds with queen on the bottom in third bedroom. 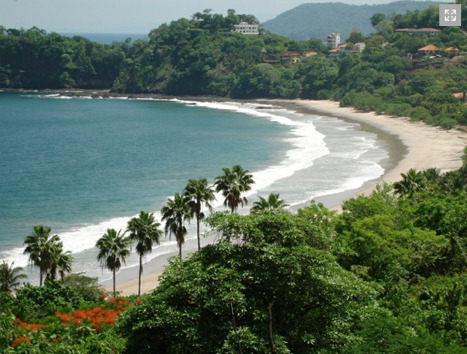 Many beaches close by and only 1 hour from Liberia airport. The home is very well equipped and includes a washer and dryer. Granite countertops in the kitchen and bathrooms and stainless steel appliances. Access to the property is by well paved roads and there is plenty of parking on the property. Maid service is included once a week for bookings over 1 week. 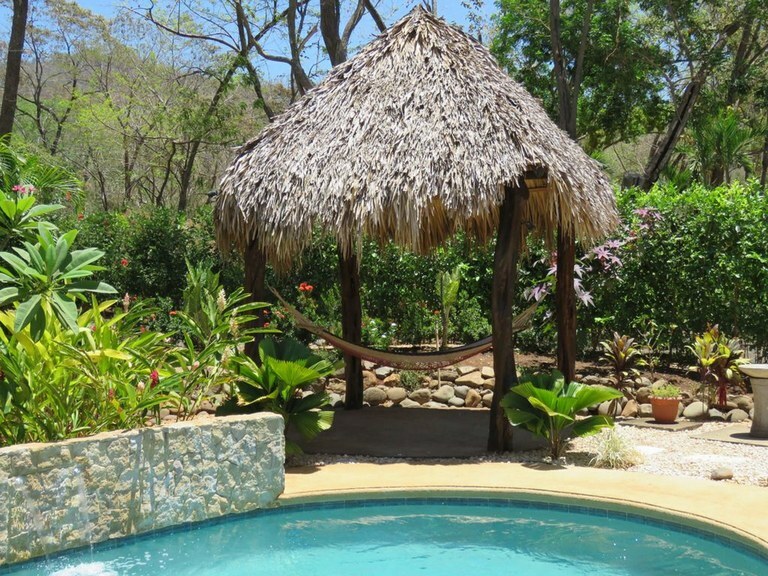 Beautiful sun terrace and pool with sun loungers and palapa with hammock. Perfect for lying and reading a book! A car is recommended for this property. NOW AVAILABLE FOR DECEMBER. 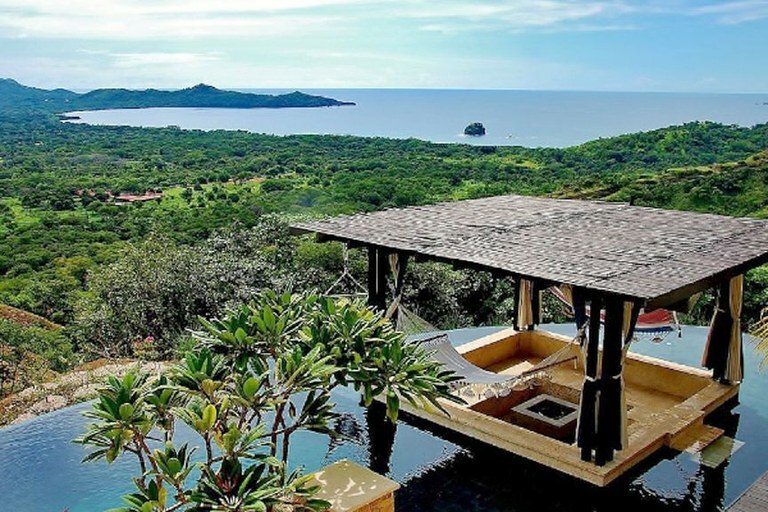 This is simply an enchanting, 3 bedroom, luxury home for rent, perched on a hill side in Flamingo, Costa Rica with stunning 270 degree views of the ocean and beaches of Potrero, Flamingo, Brasilito & Conchal, in Costa Rica. Contact us NOW for 2018 rates! 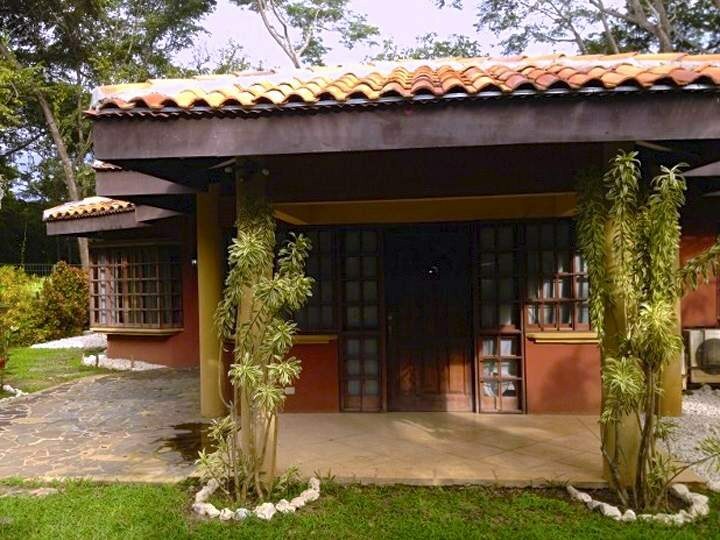 This is a quaint, 2 bedroom cottage with a private pool and 1 bedroom studio apartment, set on 7 acres in a tranquil garden setting only a 5 minute drive from Playa Penca, near Flamingo in Guanacaste, Costa Rica. This rental property this is for those wanting something private, special and unique. Contact us NOW for 2018 rates! LONG TERM RATES AVAILABLE ! Ask about reduced monthly rates for a stay of 6 months or more ! Comfortable 3 bedroom vacation rental home with a private pool in a quiet neighborhood and within walking distance of restaurants, grocery stores and the beach. Available for both short and long term rental. You’ll feel right at home in this 3 bedroom, 2 bath house in the heart of Surfside Estates, a quiet residential neighborhood on Playa Potrero with restaurants, grocery stores & night time entertainment just minutes away. And just a short 10 minute walk to the beach! Contact us NOW for 2018 rates! Casa Colibri is a beautifully designed 3 bedroom contemporary home that fits perfectly into its environment and complements the terrain while offering amazing ocean vistas from every window Set on the north ridge in Playa Flamingo, this spacious home is framed by the hills behind and gazes over the vast Pacific Ocean and Potrero Bay. Contact us NOW for 2018 rates! Please inquire about our super discounted rates for September/October. 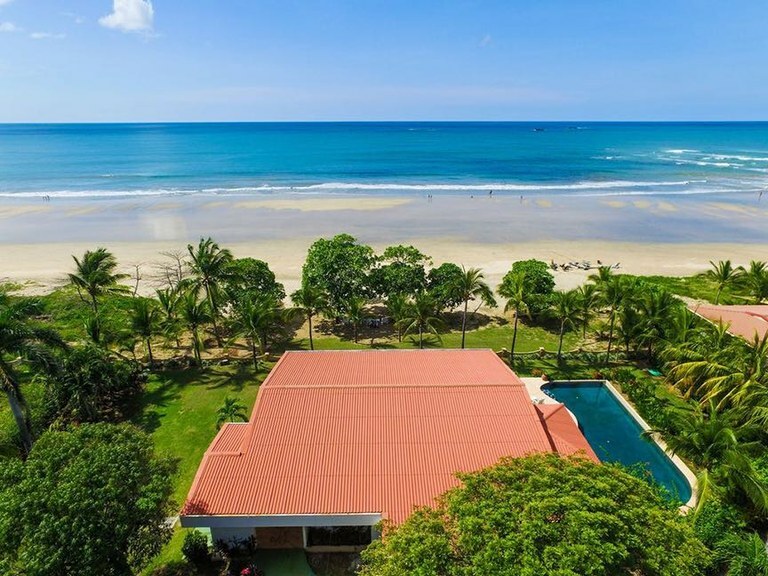 This ocean view home is perched on a ridge overlooking Playa Flamingo where you can enjoy amazing ocean and beach views from every room of this spacious, 3 bedroom, 3 bathroom home. One of 4 units in a small vacation resort, this house is wheelchair accessible and each bedroom has its own bathroom with a jacuzzi in the in the master bathroom. A spacious living/dining room with kitchen and a private and spacious balcony, access through sliding doors that is accessible from all rooms. This unit has all the modern amenities one expects from a modern but tropical home. From this vantage point, you'll feel the entire Flamingo South Ridge belongs entirely to you.